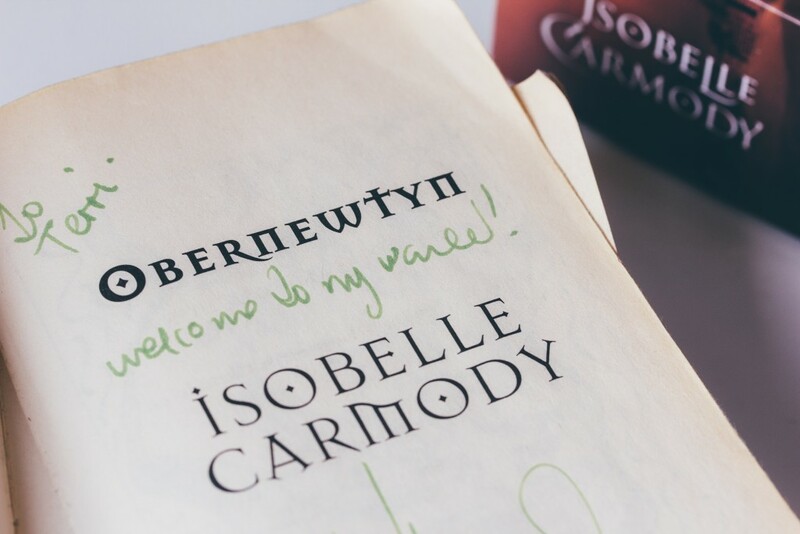 For the past month I’ve been completely and utterly lost to the world of Isobelle Carmody’s Obernewtyn Chronicles. I’ve cared not for watching television, scrolling through my Instagram feed nor even writing. I rue the time spent working and cooking and sleeping, when ever more pages wait to be devoured. This is not the first time that this has happened. Indeed, this all began – as did for most Obernewtyn fans – many good years ago. I was fourteen when I read the first four books of the Obernewtyn Chronicles. Those battered, clear-contacted copies from my school library were my portal into Carmody’s world and I was wholeheartedly captivated. Elspeth Gordie was my hero and I clung to her story passionately. As I navigated high school, she navigated a world largely destroyed centuries past by nuclear holocaust, whilst grappling with her psychic powers and the ultimate quest laid out before her. As my high school years wore on, though, I slowly began to accept that those four books might be all I’d ever see into Elspeth’s story. 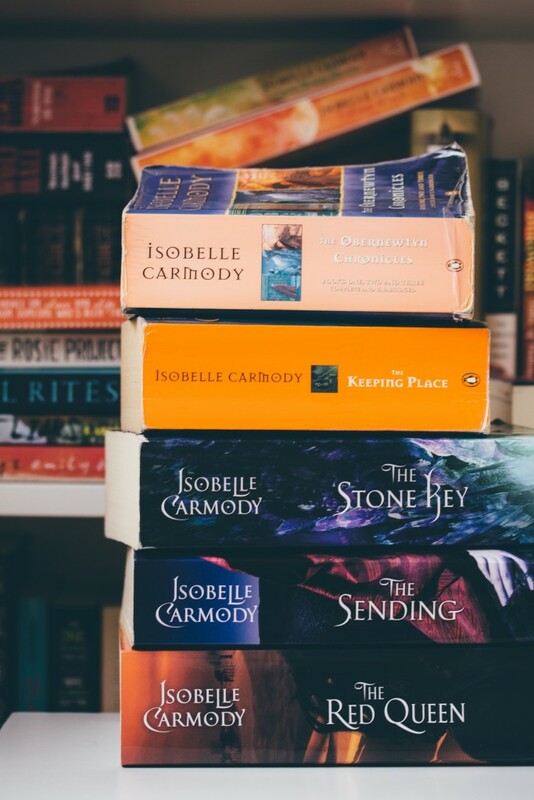 Book Four, The Keeping Place, had been published in 1999 and I couldn’t find any clue to suggest that Ms. Carmody would actually even write the final book. 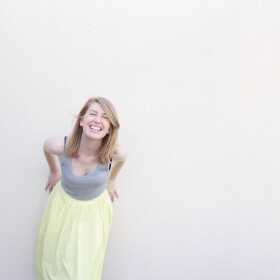 Years later – it was 2008, I was in my final year of university and strolling through a shopping centre with one of my first share-house mates – when a familiar name struck me from a bookstore display. A shelf was filled top to bottom with the purple and turquoise tones of The Stone Key, a thousand-page tome and, to my shock and delight, the fifth book in Elspeth’s saga. It was not quite the end, but finally – it was more. Wizened to the fact that Isobelle had not, after all, abandoned Elspeth and her story, I kept a keen eye out for stirrings of the final book release. True to style, that did not happen for another four years – but this time I was ready. I was thrilled to even attend a release event here in Melbourne, where I saw Isobelle speak for the first time, and made a bumbling fool of myself at the front of the book-signing line not for the last time. As it turned out, The Sending was also not quite the end. There was still one more to go. This brings us to my current Obernewtyn delvings. When I sat down to begin this Last Great Re-Read, though, that ‘welcome’ resounded so strongly that I had a shed a couple of tears. This was it. As I powered through the series this month, I also managed to convince my book club to read Book One along with me – and let me tell you, it’s been wonderful to share this story with my friends. A little scary, but wonderful. 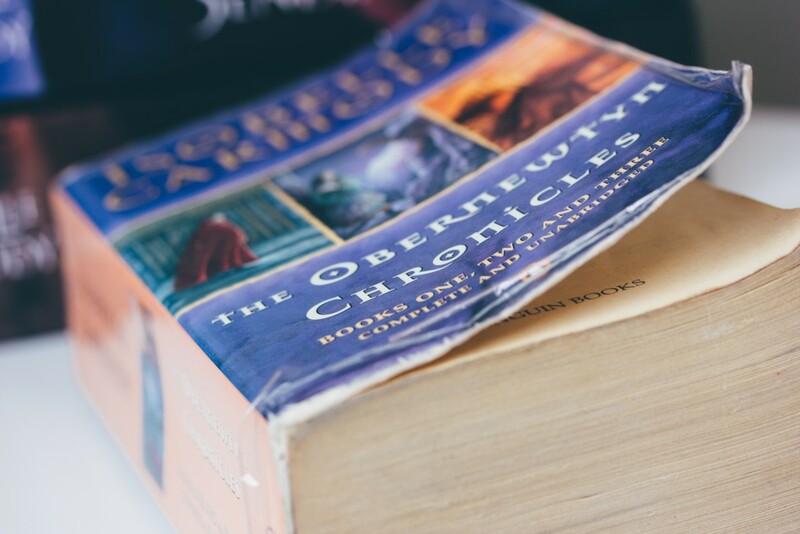 There was a moment a couple of weekends ago whilst staying with a friend at her beach house in Lorne, when I peered up from The Keeping Place to see all four visitors had their noses deep somewhere in one of the Obernewtyn books. It was a very good feeling! Mat was one of these people, which I am particularly delighted about. He’s quickly making his way through the whole series and now refers to ‘Izzy’ as though she’s one of our everyday acquaintances. 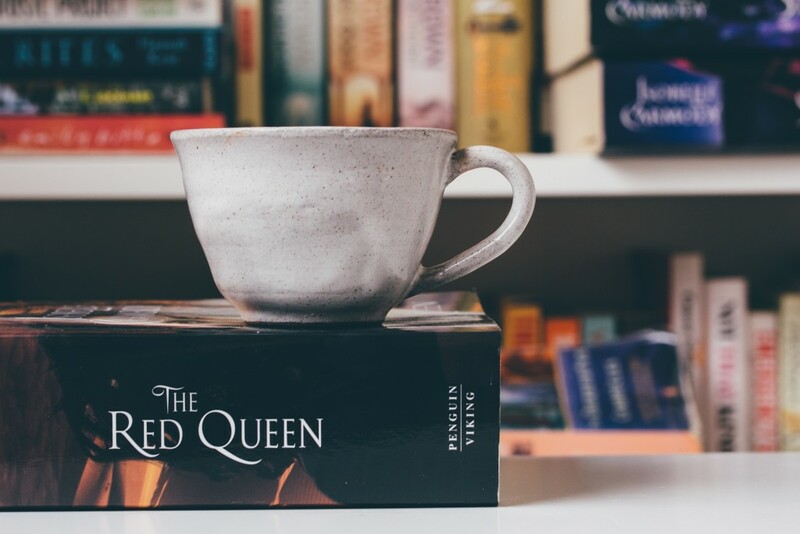 I obviously made a terrible, terrible miscalculation in how long it would take me to re-read the series, and The Red Queen remains woefully uncracked (okay, I may have taken a quick peek or two) more than two weeks after it was released this November. I did make it along to the release event though, and was once again enraptured by this remarkable woman; Isobelle is such a generous and inspiring speaker and I count my lucky stars to be in a position to see her talk about her books and writing in person. I’ve seen her speak at several events now, and always leave feeling so full of inspiration that it’s near bursting out of my eyeballs. I also continue to have nothing particularly coherent to say to Isobelle at the front of every book-signing line, which is definitely something I need to work on. She is going to start getting suspicious of the girl who keeps turning up and simply smiling so wide that she looks nearer a great white shark than a humbled fan. It’s at this point of the blog post that I should start talking about the baked good that these books have inspired, but I’m afraid that, as I mentioned before, I just don’t care to make time for that sort of thing right now. At most, I’ve brewed a pot of choca (okay, Mörk’s 70% Original Dark Hot Chocolate) to sip whilst I settle in to devour the last pages of The Sending, and perhaps even make a start on The Red Queen. It’s so hard to believe that this is all going to be over very soon. I’m excited and a little sad. 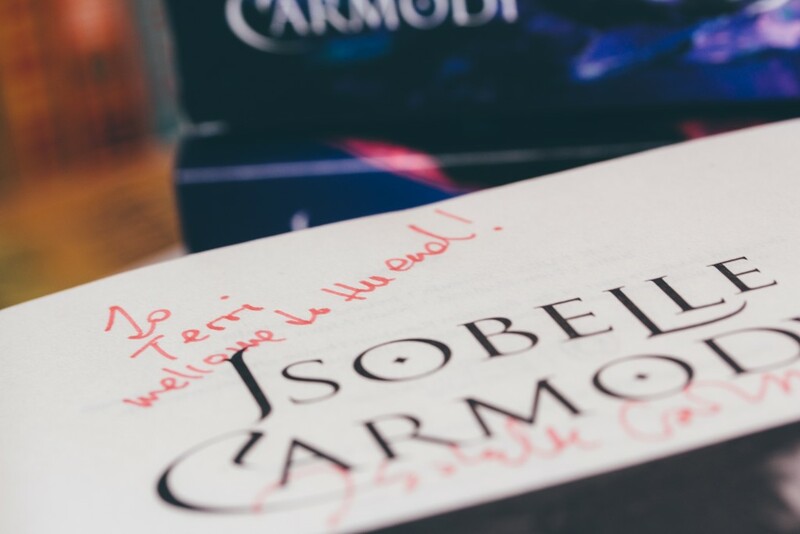 Isobelle scribed on the title page of The Red Queen: “Welcome to the end!“, and the gravity of those words is just huge to me. Thank you, Isobelle, for welcoming us into this world and Elspeth’s story. Thank you so much.